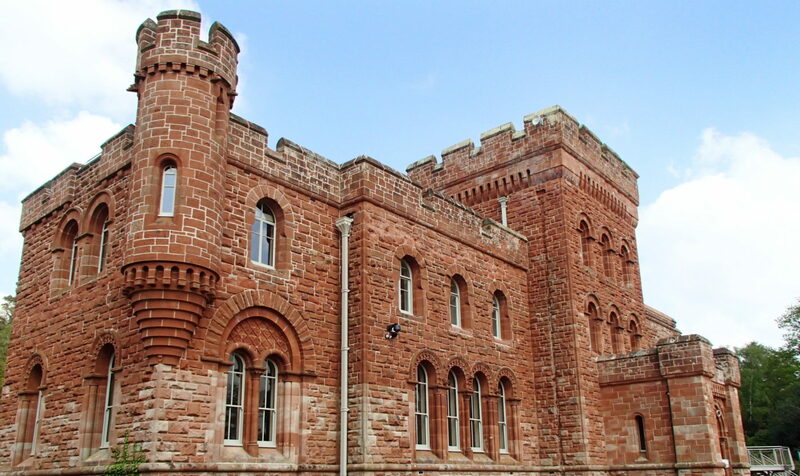 We have many methods at our disposal to ensure the effective and sympathetic cleaning of your property. 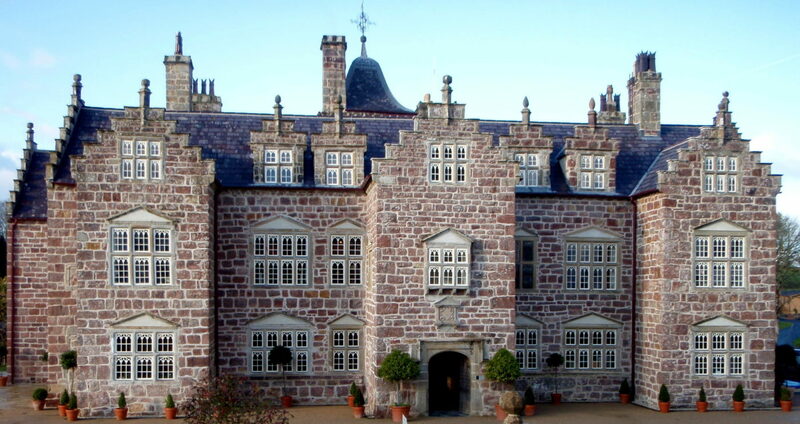 Please contact us for further information where we will be able to advise you on the best method for the job. 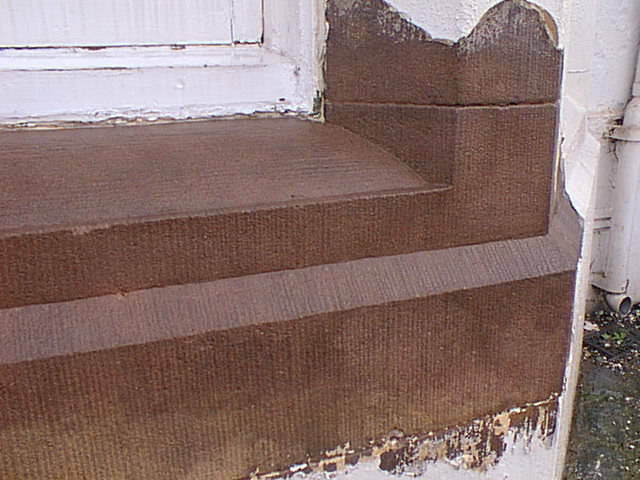 JOS/TORC® is an efficient and gentle cleaning method that uses no chemicals. 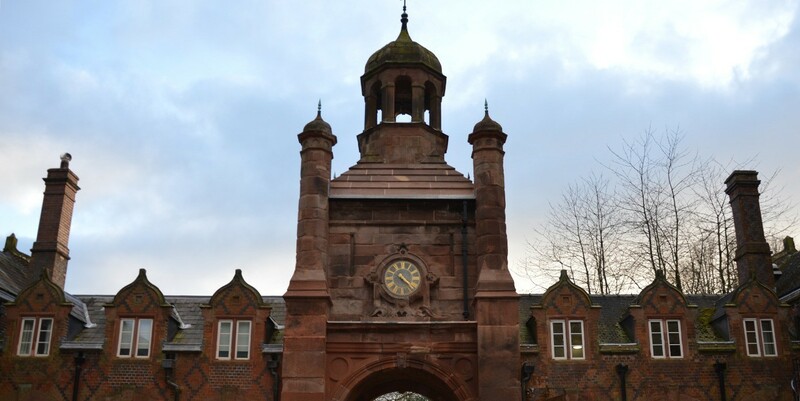 A mixture of low air pressure and a fine inert safe abrasive powder is developed into a rotating vortex which when used does not damage the substrate's surface. Note the conventional blast type jet on the left and the JOS/TORC® patent rotational vortex on the right. 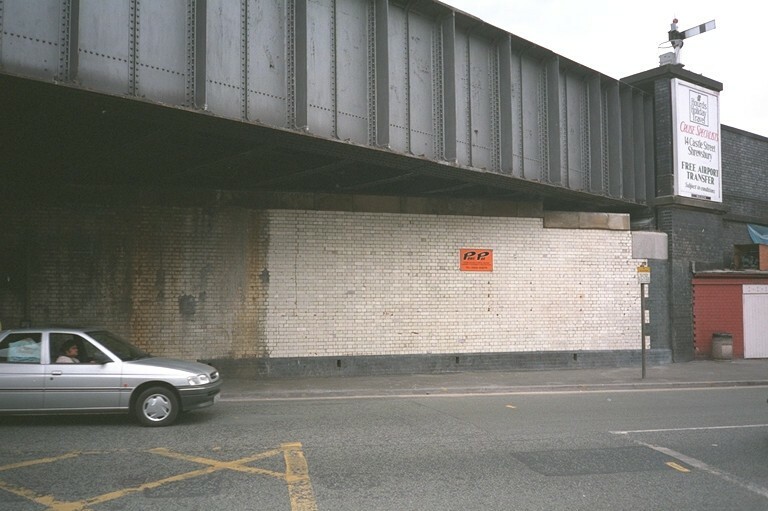 Lime scale was removed from the glazed bricks under the railway bridges at Shrewsbury Station by means of the JOS/TORC® System. 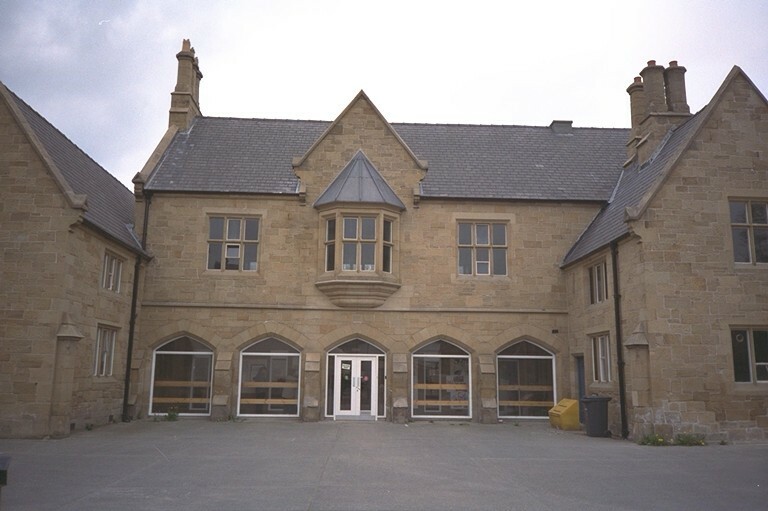 The three stages of work on the County Buildings, Wrexham. 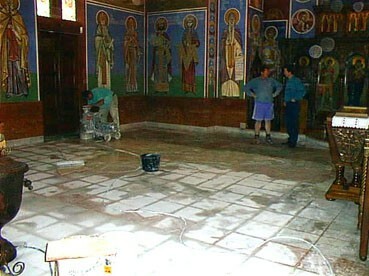 Prior to start (far left), during cleaning (middle), and after completion (right). 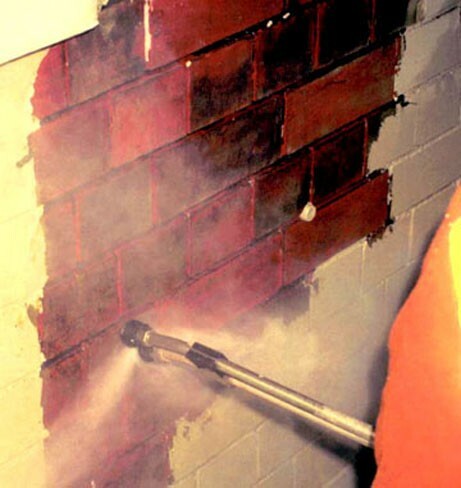 DOFF/Thermatec is a steam system which removes oil based, thermoplastic and masonry paints, bitumastic coatings, heavy deposits of oil and grease etc, and even chewing gum without damage to the substrate. 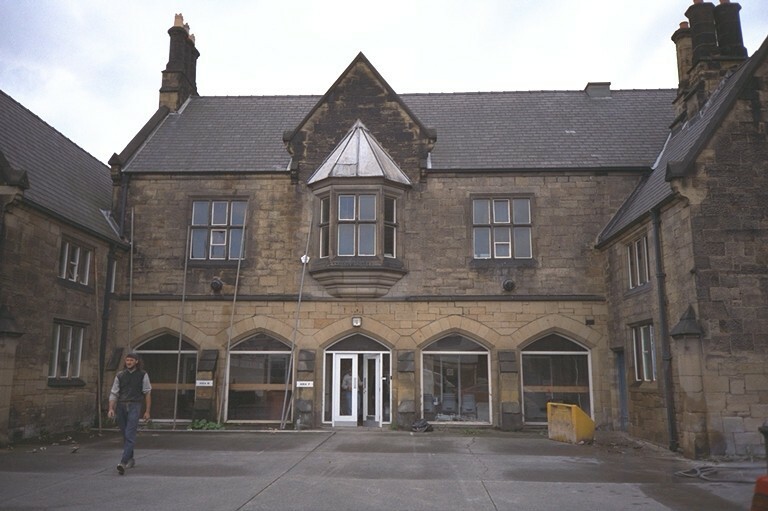 Paint being removed from the window sill in the picture on the right, can take half the time than by alternative methods, such as chemical or burning with no risk of fire or contamination. 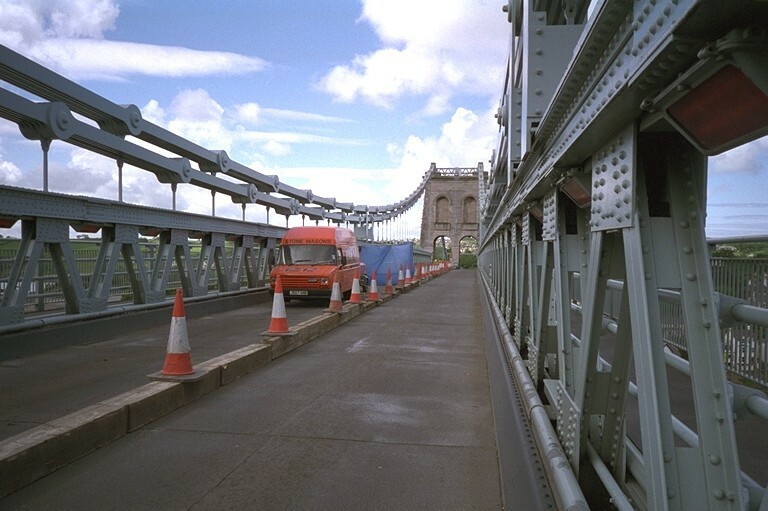 The surface can then be treated with the JOS/TORC system in order to remove any remaining paint or carbon. 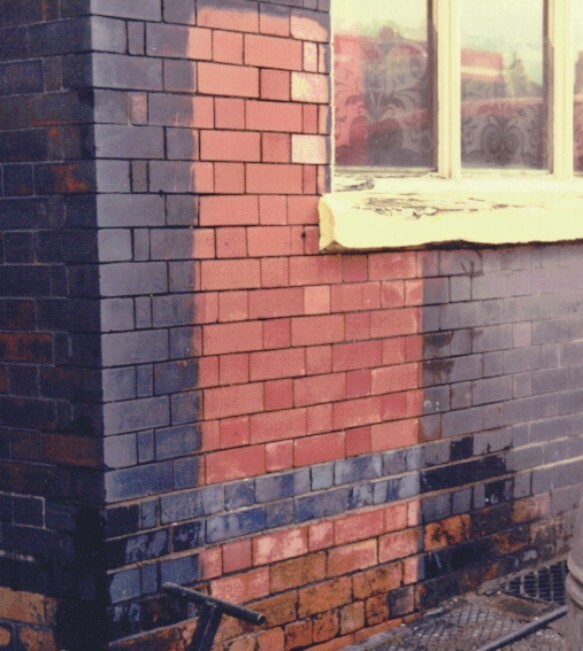 Paint was removed from the test areas to the right by the steam DOFF system with no damage to the surface of the brick, as can be seen by the traces of carbon deposits remaining. 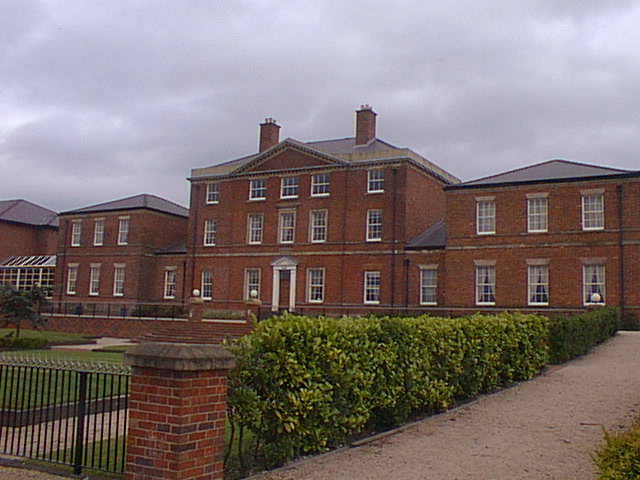 The property below - Etruria Hall, Hanley, Stoke on Trent - was chemically cleaned in 1984 in preparation for the 1986 National Garden Festival. 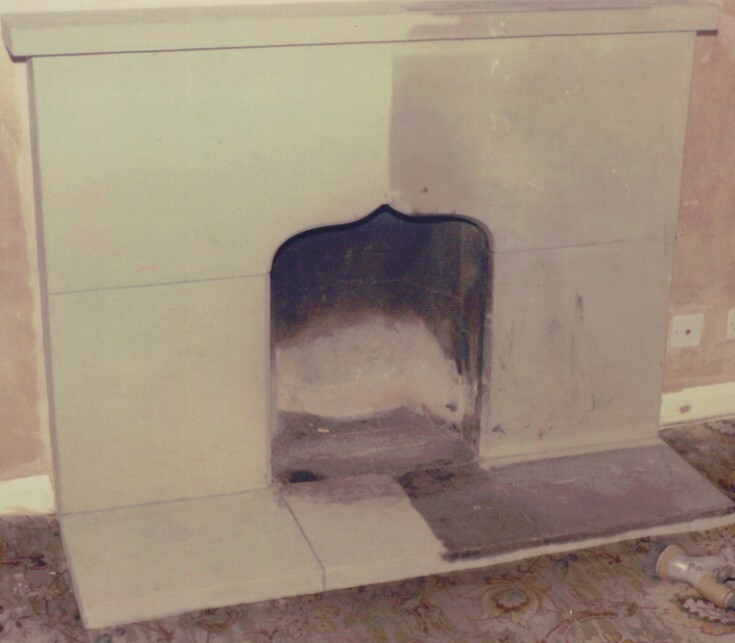 The photo right shows a typical pre-start test carried out on a pub in Longton, Stoke on Trent. 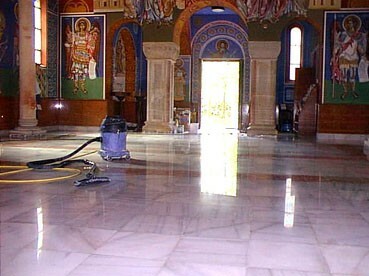 The marble floor of a church in Birmingham is ground in order to remove lippage and Stiletto damage then polished using diamond pads. Using Aluminium oxide at very low pressure and with an on board vacuum makes this method extremely useful internally as there is little or no creation of dust. 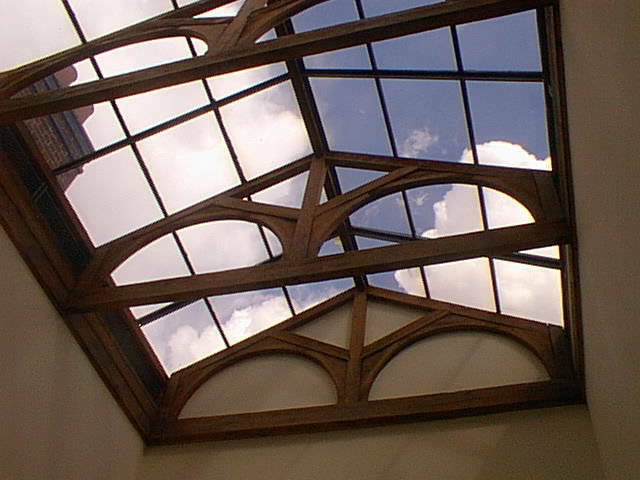 The bead blasting is very useful for small items. 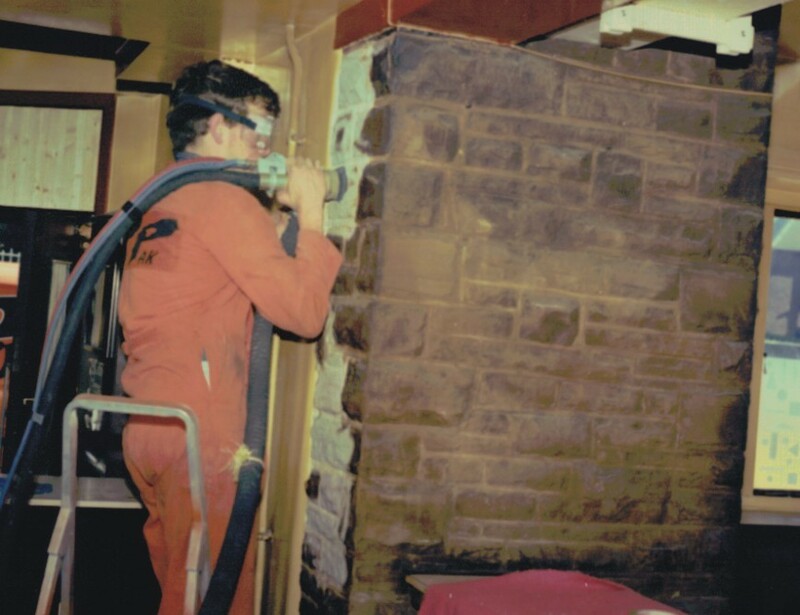 The photo left shows a heavy deposit of nicotine being removed from natural stone in a public house. 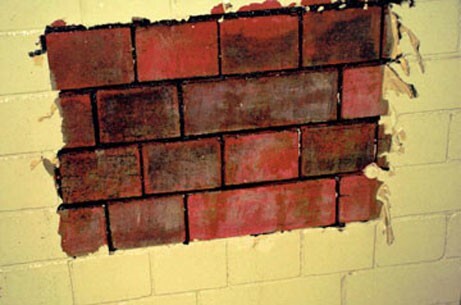 The closed circuit blast method using Aluminium Oxide at very low pressure, the end result is clearly seen, as on the fire grate. 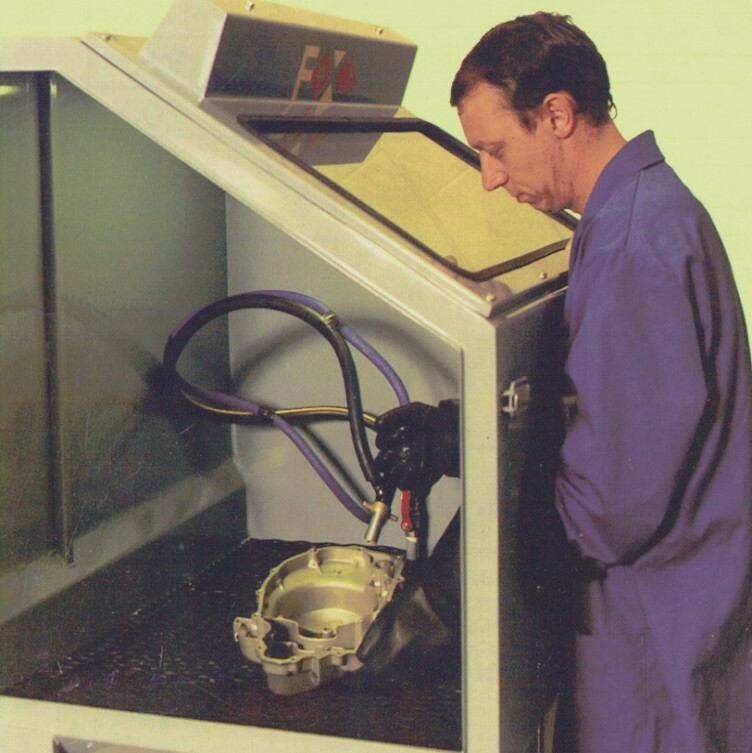 The picture above shows an example of bead blasting small items within a cabinet. 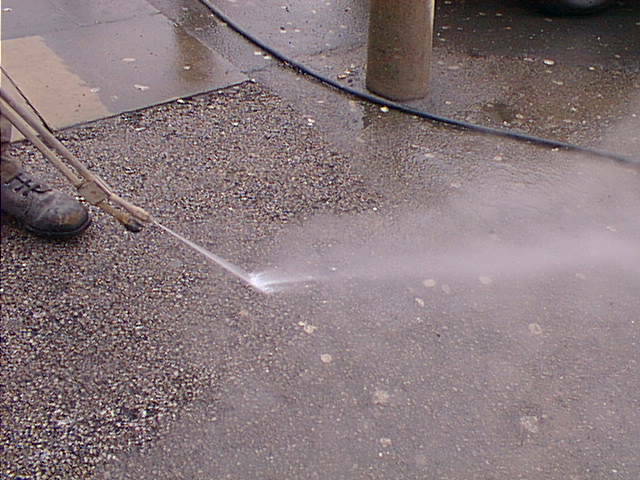 The DOFF cleaning system is very effective at removing Chewing Gum from both paving slabs and tarmac. 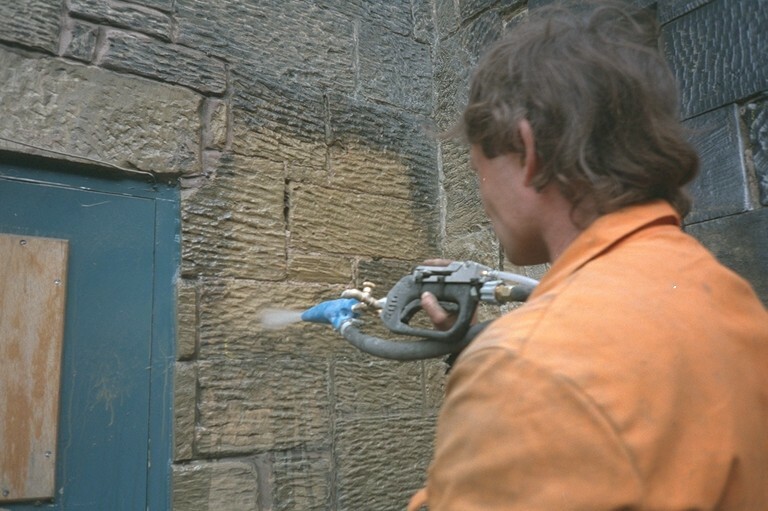 These pictures illustrate how a very low pressure dry blast using a fine abrasive can remove paints and other coatings from delicate surfaces such as timber where wetting the substrate is not an option and a higher pressure, more aggressive abrasive blast clean for steelwork.